My mother was one of the best stay at home moms ever. She had absolutely no money, but she was creative and could make something special out of nothing better than anyone I have ever known. My fondest memories of her come from early childhood when she managed to cook and sew and garden and milk the cow and wash on a wringer washing machine and care for my siblings and me. . . .and play with us. She truly enjoyed beating us at our own game of hop scotch or tetherball. She would join us building a play house and play dolls inside our clothesline draperies. When I was six, we lived on a dusty patch of God-forsaken earth in Wingate, Texas. There, Mama taught us how to make mud pies near the tank of water generated by the windmill. 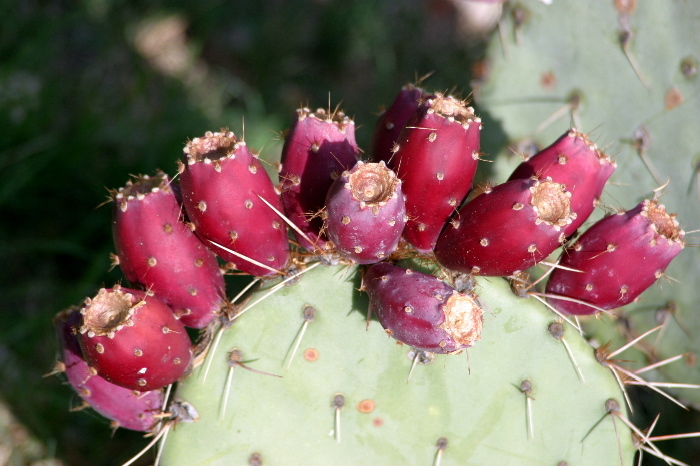 On one of those adventures, my sister and I decided to make a special pie with a beautiful crust made from a local plant known as a prickly pear cactus. In our enthusiasm regarding the perfection of our creation, we didn’t even notice the barbed, easily broken stickers which protruded on both sides of each “pie crust”. By the time we had finished baking and presented our goodies to our mother, our little hands had already started to swell from the angry cactus. Now, I know as a mother myself, that the sight of us in that condition probably wrung serious fear from her heart. But there we were, miles from anyone, no telephone, no car—nothing but tweezers and rubbing alcohol. For hours, Mama sat with us, picking stickers one by one, murmuring sweetness and singing songs to two screaming, distraught little girls. I tell you this story because it ironically always brings a sense of calm to me. My mother did so much more than teach us to make mud pies that day. She taught us to be thorough, knowing that missing even one sticker in our little hands could cause an infection. She taught us to be patient, carefully looking for each sticker and removing it methodically. She taught us to approach a painful situation with gentleness and kindness, lessening our pain with her songs and sweet nothings. Most of all, she taught us to do all things in love. I KNOW she had not planned on spending her day picking stickers out of our hands. But you would have never guessed that by her behavior. I miss her now. She could still teach me new lessons each day. Perhaps I can do the same for others. Perhaps I make her proud. Please Lord, make it so.